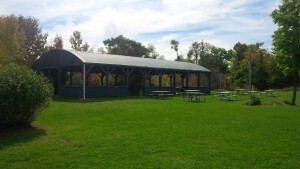 Open grassy area with a 40ft by 65ft open pavilion. Limited shade available, other than the pavilion. 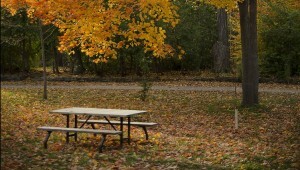 Located near Visitors Welcome Centre, washrooms, parking and trails. Tables placed to suit group needs, suitable for up to 100 seated inside, 200 guests on site. Use of charcoal BBQ included, bring your own charcoal or purchase on site. Hydro included (7 outlets). Open grassy area, limited shade, close to washrooms, Visitor’s Welcome Centre, parking and trails. Tables placed to suit group needs, suitable for up to 75 guests. Grassy area, shaded by mature trees. Located next to Mink pond, washrooms, Visitor’s Welcome Centre, parking and trails. Tables placed to suit group needs, suitable for up to 25 guests. Grassy area, limited shade. Located close to washrooms, Visitor’s Welcome Centre, parking and trails. Tables placed to suit group needs, suitable for up to 50 guests. Grassy area, shaded by mature trees. Located close to Muskrat pond, washrooms, Visitor’s Welcome Centre, parking and trails. Tables placed to suit group needs, suitable for up to 50 guests. 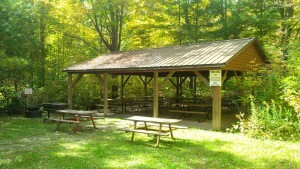 Small pavilion, 25ft by 30ft, located off Terra Cotta Lane and surrounded by maple trees. This area is located on the trail 20 minutes from parking and flush washrooms. Port-o-let on site from June-Sept. Wagon ride shuttle available for an extra charge. Use of charcoal BBQ included, bring your own charcoal or purchase on site. Tables placed to suit group needs, suitable for up to 25 people seated inside and 40 people onsite. 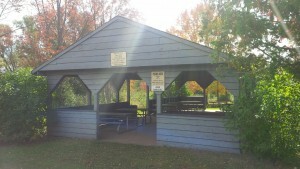 Medium pavilion, 25ft by 50ft, located off the Vaughn Trail and Service Road with grassy area adjacent for games or sports. This area is located on the trail 20 minutes from parking and flush washrooms. Port-o-let on site from June-Sept. Wagon ride shuttle available for an extra charge. Use of charcoal BBQ included, bring your own charcoal or purchase on site. Tables placed to suit group needs, suitable for up to 60 people seated inside and 100 people onsite. Grassy area, shaded by mature trees. Located close to washrooms, Visitor’s Welcome Centre, parking and trails. Tables placed to suit group needs, suitable for up to 25 guests. Seats up to 200 people. Can be booked for weddings, theatre performances, live entertainment, presentations and more.